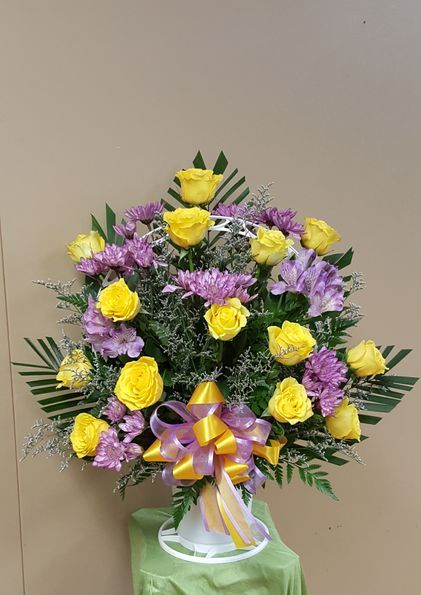 This is our starting price sympathy basket. 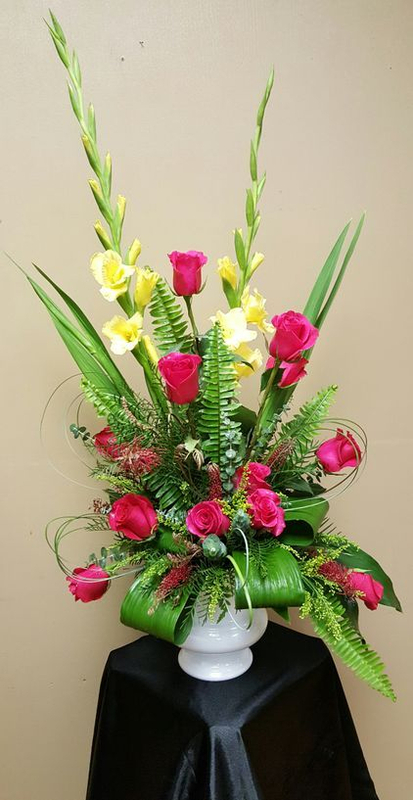 It comes with the lower priced flowers such as carnations, daisies, poms, buttons, and astromeria. 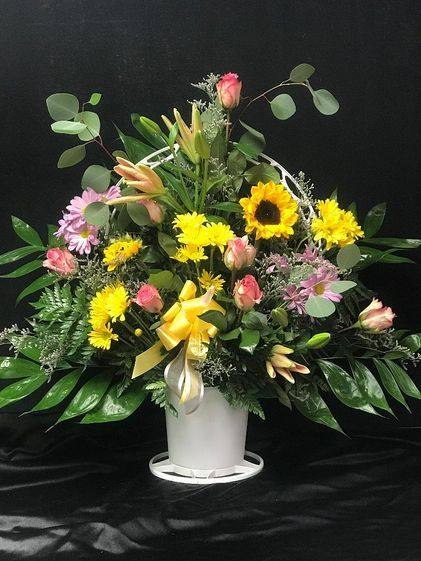 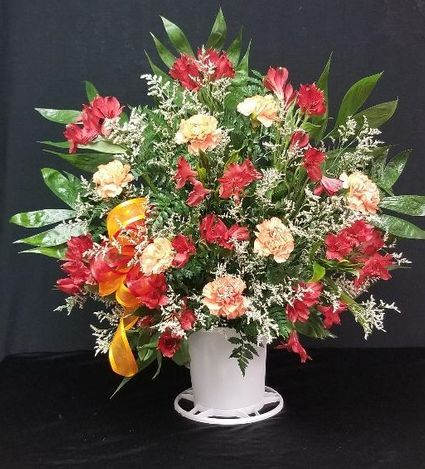 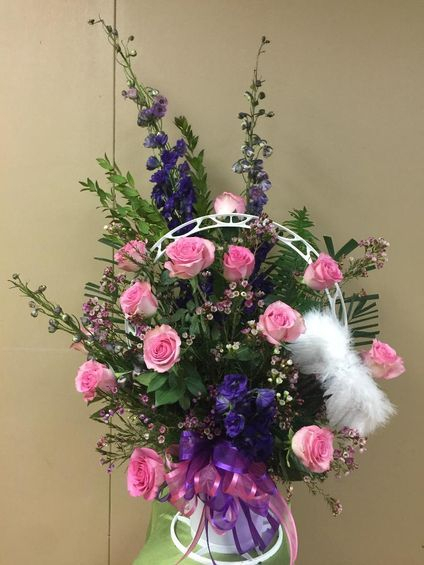 All sympathy arrangements can be upgraded with different flowers,crosses, curly willow, birds, butterflies, & customized Signs.